Shopping for Star Wars Dining and Entertaining? These are the bowls you're looking for! 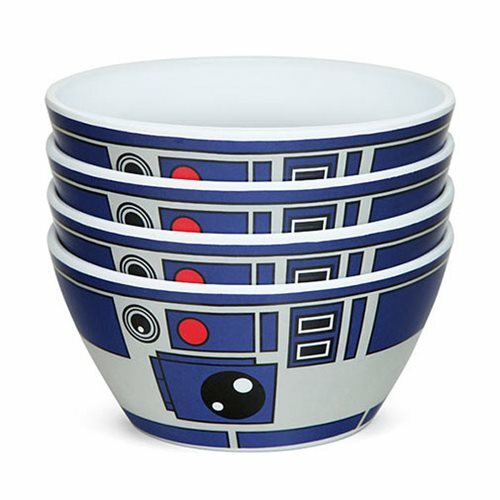 This Star Wars R2-D2 Bowls Set is a must have for fans of the Star Wars universe. The set includes 4 melamine 18 oz. bowls. Measures about 5 3/4-inches in diameter x 2 3/4-inches tall. Hand wash only. Not dishwasher safe. Do not microwave.